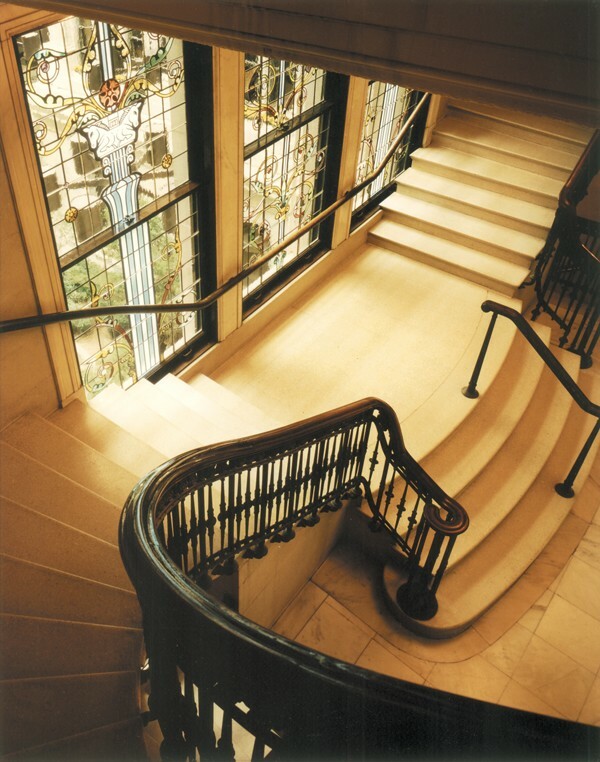 the Northwestern Mutual Financial Network requested related sets of decorative stained glass windows to enhance the landing on each floor of one of their corporate buildings in Milwaukee, Wisconsin. 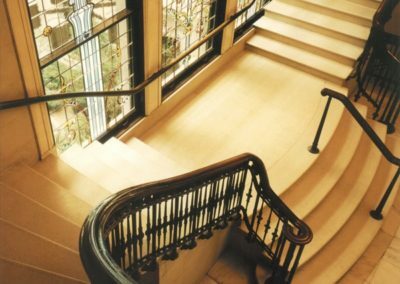 The grid-based, clear background glass chosen for the windows preserves views and is an economical solution for stained glass. Each set of windows features columns with capitals from the various orders such as Byzantine, Doric, Corinthian, etc., which relates to the classical facade of the original Northwestern Mutual Financial Network (NMFN) building and also to the NMFN logo, which incorporates a column capital.